Ale consumers are a savvy bunch. I believe they know more about their drink and how it’s made than the consumers of any other kind of beverage, with perhaps the exception of wine. For a beer drinker with an interest in more than lager, there is knowledge about the different styles, and the different breweries that make their favourite brew. It’s more than just brand loyalty. It’s more that someone could feel more affinity with a small craft brewery than they could with a multi-national corporation. If you like a beer from a particular brewery, then it’s inevitable that you’re going to seek out and try the other beers that they make. 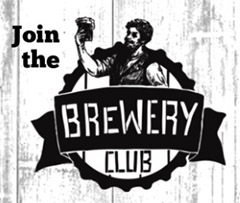 That school of thinking is why the monthly Eebria Brewery Club makes so much sense. 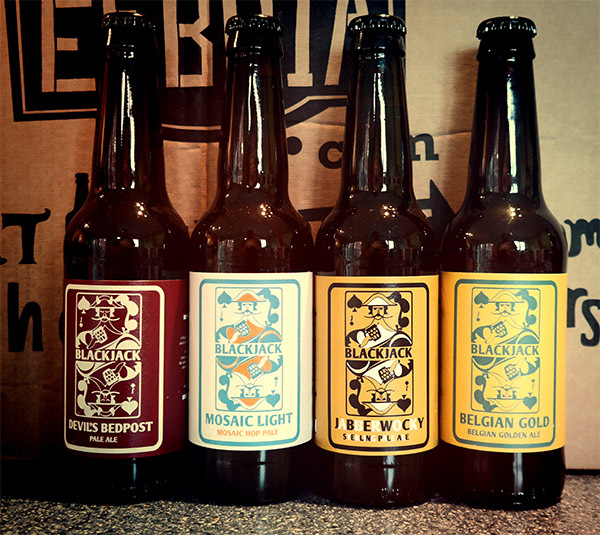 It’s a nice take on the straightforward beer subscription service. Instead, highlight one brewery, and get them to send out a dozen of their ales for you to get to know. You get to know a different brewery every month (or less frequent subscriptions are available). 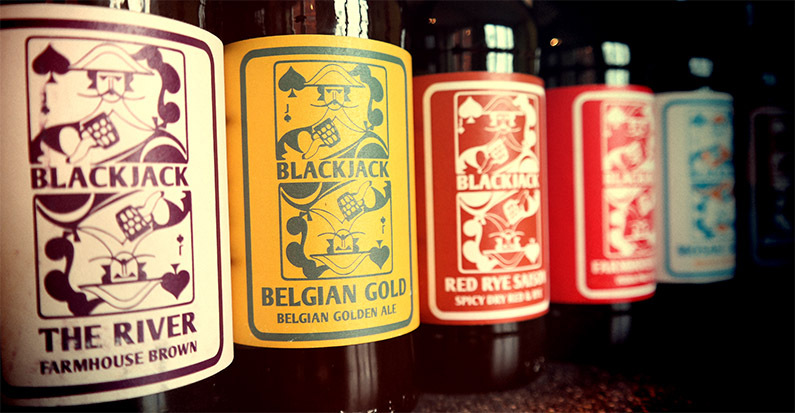 This month features Manchester’s Blackjack Brewery. Formed in 2012 when experienced brewer Rob Hamilton saw an opportunity to set up a 4.5BBL brewhouse, and took it! For £30, you get the 12 bottles to your door. They come direct & fresh from the brewery, who choose exactly what goes into the box. So, what did Blackjack send through? 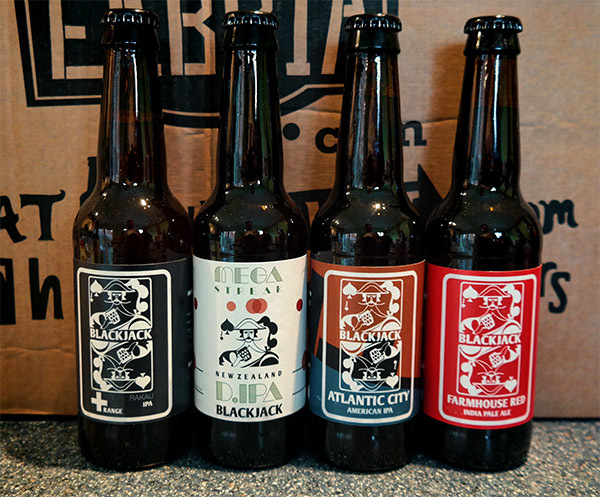 Blackjack have a good variety of IPAs, as you’d expect. Packing a punch and big flavours, they were very satisfying! I particularly likes Mega Streak – a Double IPA with New Zealand hops. Delicious! The Mega Streak IPA was launched exclusively via Eebria. If you subscribed, then you’d be amongst the first people in the world to try this amazing brew! Don’t make the mistake of thinking that because a beer is pale, it’s light in flavour. Both Mosaic Light and Devil’s Bedpost have a heavy dose of hoppiness which I appreciated. I had the Red Rye Saison in a back garden in the sun. It was a perfect match. 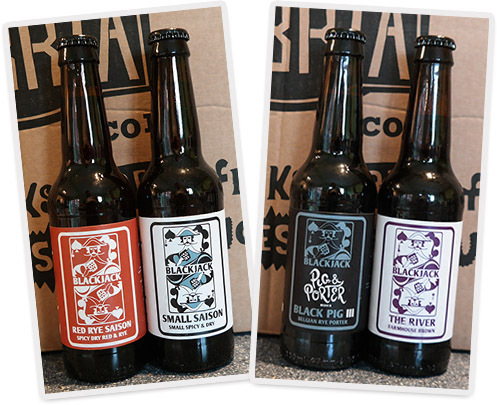 I’m beginning to love peppery tastes in my beer, and these were well balanced recipes. So, I’ve gone from knowing nothing about Blackjack, to tasting a dozen of their beers, learning more about what tickles my tastebuds and even meeting a few new favourites. Next month, it will be Windswept Brewing, and the following month, another brewery for you to discover. It’s a great idea. Beer drinkers are always on the lookout for their next favourite pint. This is a brilliant way to do just that. The wonderful folk at Eebria are offering one lucky randomly picked winner a box of beers for next month’s featured brewery, Windswept Brewing. To be in with a chance of winning, simply enter using the widget below before 20 September 2017 at midnight. Good luck, and come back every day for more chances of winning! 1. CLOSING DATE IS 20 SEPTEMBER 2017 AT MIDNIGHT. 2. THE PRIZE IS 12 BOTTLES OF BEER FROM THE EEBRIA BREWERY CLUB. Is has to be Oasis! Coronation Street and Stone Roses. One of my best friends comes from Manchester, so her! Honestly has to be Coronation street i love that show! It hasn’t made it out if Manchester but Beermoth is my all time favourite Manchester beer shop. I spend a fortune in there everytime Im in the area. Some amazing bands…too many to name. Oasis. Used to love them. My Dad !! He was born in Manchester. Him and my brother would probably say Man City FC! It has to be meee! Mine is Coronation street because it’s a must watch for me. Thanks for this giveaway. Some friends from when I lived in Didsbury when I was 5. Coronation Street – can’t wait for an extra episode a week from now on! Coronation Street! and Me ???? My favourite thing to come out of Manchester would be the band Gomez. So many great things from my home town! I’ll go with Coronation Street! If you’re counting Salford as well then I’d say The Smiths. Erm …me of course ha ha ha ! Does that count? Either me or chips and gravy …we can claim chips and gravy can’t we? Fab giveaway would love to be your lucky winner.